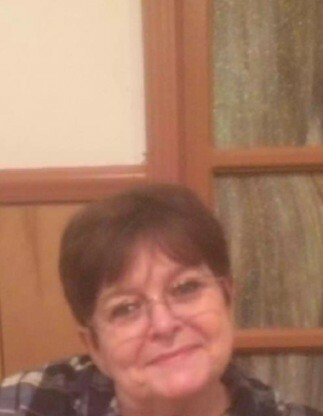 Funeral services will be at 2:00 pm Saturday January 26, 2019 at Glencoe-Hokes Bluff Chapel for Linda Lovitt , age 69, of Ohatchee, who passed away on Tuesday January 22, 2019. Brother Ellis McDill and Wayne Sams will officiate. Burial will follow at Ohatchee 1st Baptist Church Cemetery. Glencoe-Hokes Bluff Funeral Home and Cemetery is in charge of services. Linda was a faithful member of Brannon Springs Church. She loved Jesus and his word. She is preceded in death by her husband: Harold Lovitt; parents: Horace and Nellie Lowman; siblings: Emmett Lowman and Wilma Stone. She is survived by her son: Joshua (Kristy) Lovitt; grandchildren: Joshalyn Lovitt, Kalie Smith, several nieces, nephews, and cousins. Pallbearers will be Tommy Lovett, Billy Hutt, Logan Hutt, Joey Long, Jeremy Long and Justin Long. Special thanks to Southern Care Hospice. The family will receive friends at the funeral home Saturday from12 to 2 pm.